Blythe Park PTA’s annual Snowball Dance will be held Friday, February 22nd and the PTA is looking for volunteers. 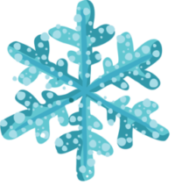 VOLUNTEERS – Help make snowflakes, setup, donate treats, serve treats, supervise the dance floor and quiet room, and clean up. Please click on the Signup button below if you would like to help. The Snowball Dance committee is looking for white string light donations to make the Blythe Park gym magical for this year’s dance!